Right of the heels of launching Estimote stickers - it is SDK time. 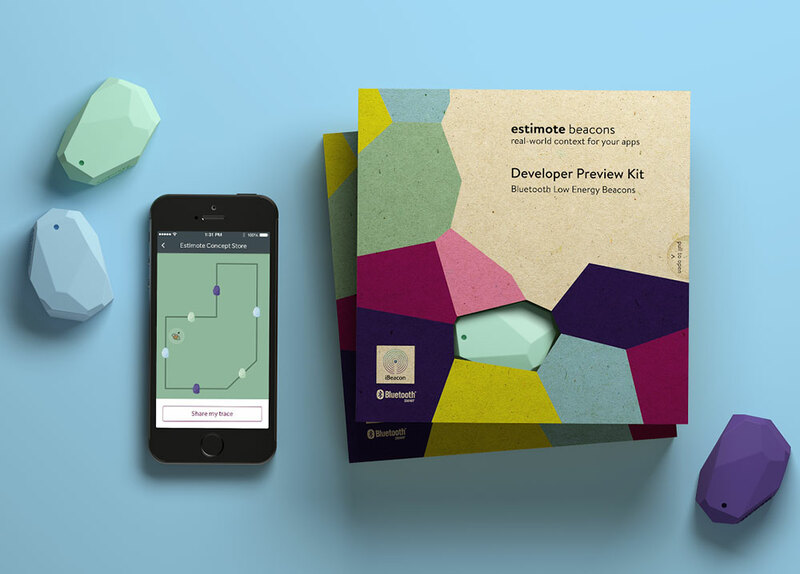 Estimote has just announced the Estimote Indoor Location SDK that will allow developers to integrate location based awareness into their applications using their iBeacon technology with triangulation algorithms to provide an approximate location (within 1m) in a pre-defined space. In an effort to gain quick adoption; they have made the installation simple. The mapping process is simple and fast. Start by placing one beacon immediately to the right of the room's entrance at about chest height. Affix a single beacon in the center of each of the remaining walls. Then walk from beacon to beacon keeping as close to the perimeter of the space as possible. While walking, hold your phone in front of you. Stop at each beacon along the way, holding the phone next to it, to complete this one-time configuration process. Indoor positioning isn't a new technology - companies have attempted to use technologies such as radio signals (WiFi et al) but also magnetic and inertial measurements to attempt to triangulate a users position however, they can be quite cumbersome to setup and configure. iBeacons use low energy Bluetooth as their base technology and it will be interesting to see how the SDK deals with sporadic received signal strength indicator (RSSI) values to determine the users position in real time. In my experience, I have seen these values jump around like a pogo stick and it typically takes staying still to get stable numbers. Estimote have released their SDK under the MIT license and have it hosted on github.com however the "secrets" of how it works isn't available as only a pre-compiled library exists.